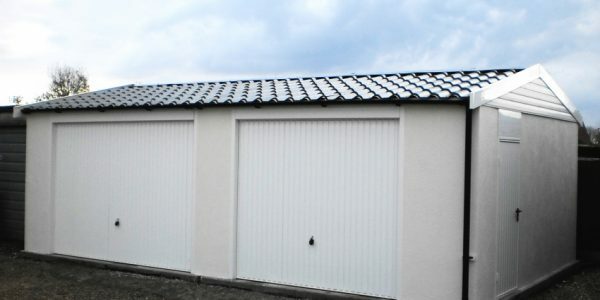 The Apex 90 pitched roof garage with a transverse roof adds a new dimension to concrete garages. 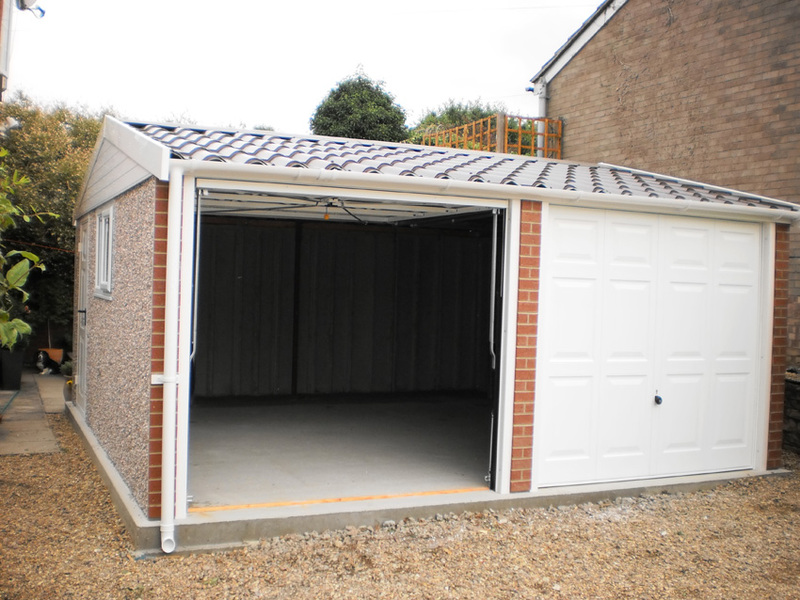 The specially designed transverse roof has been effectively spun through 90o when compared to a traditional garage. 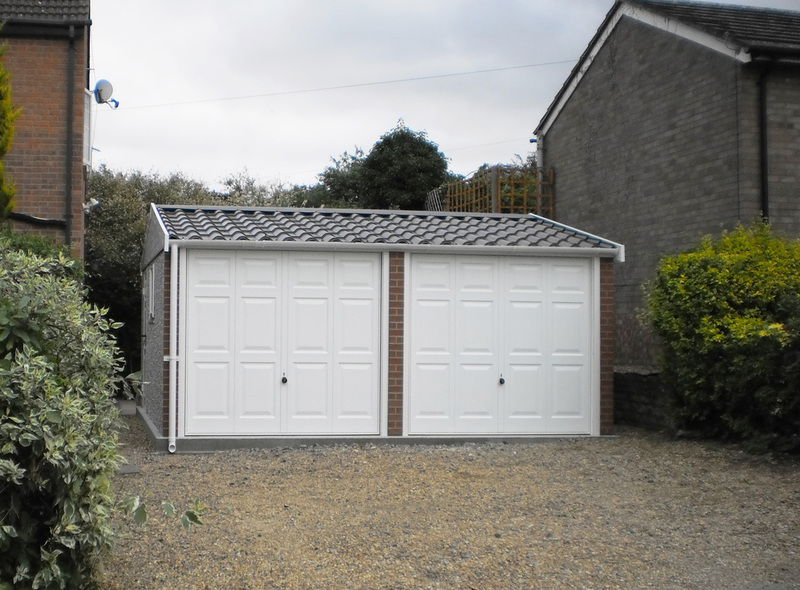 With attractive tile effect roof sheets available in four stylish colours, the Apex 90 will sit beautifully next to almost any property. 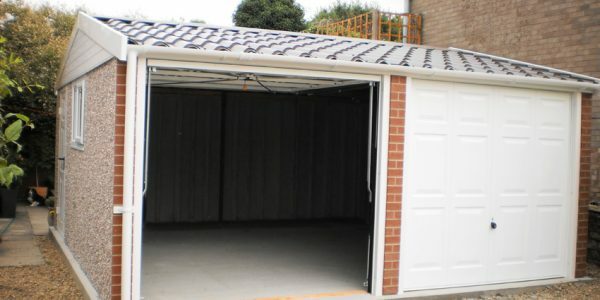 The unique transverse roof means the Apex 90 is the ideal choice if your garage is to be located between two buildings. 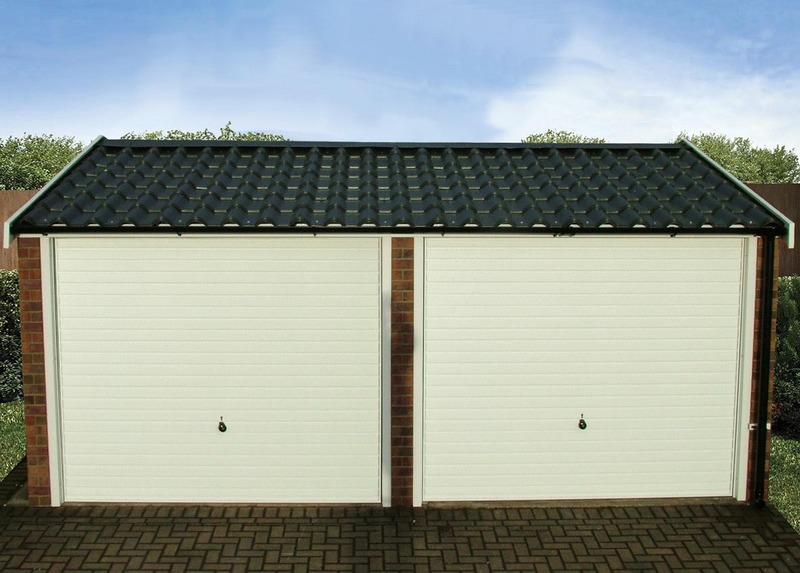 Supplied with a number of maintenance free features as standard, the Apex 90 is the perfect choice where appearance is everything, and because of the unique roof it looks just as good from the back as the front. 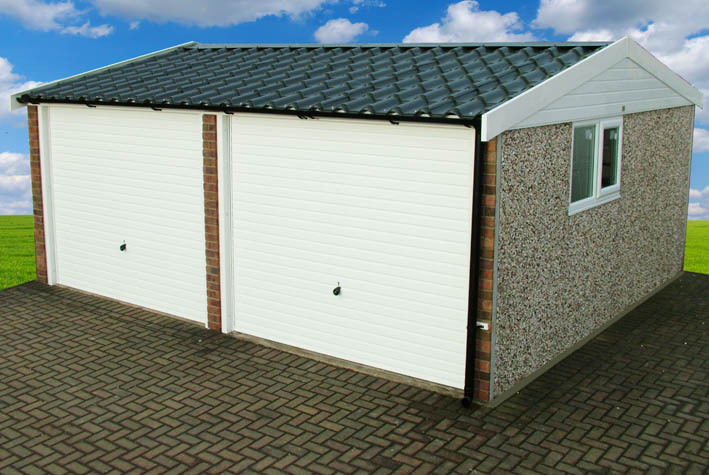 With a huge range of optional extras available you can tailor your building exactly the way you want it. The following are supplied as standard. More Bespoke Options are available. 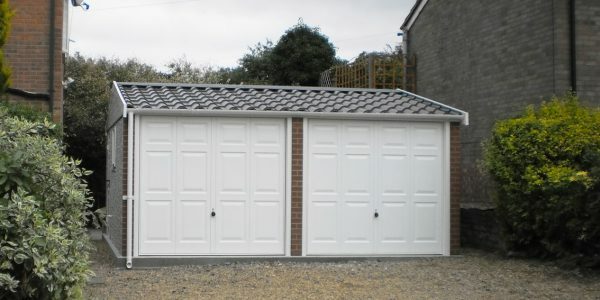 Plastisol coated, galvanised steel tile effect roof sheets with anti-condensation lining. 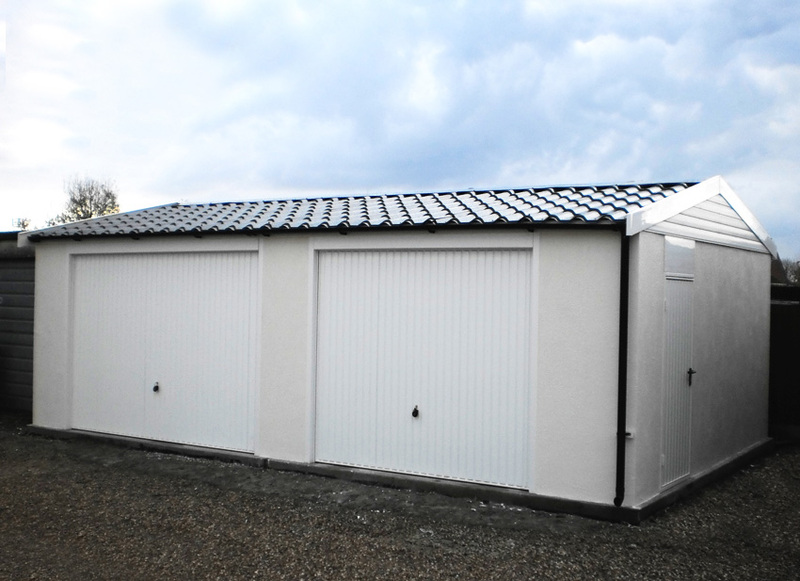 Available in 4 attractive colours (see page 27), mounted on robust steel purlins and rafters. 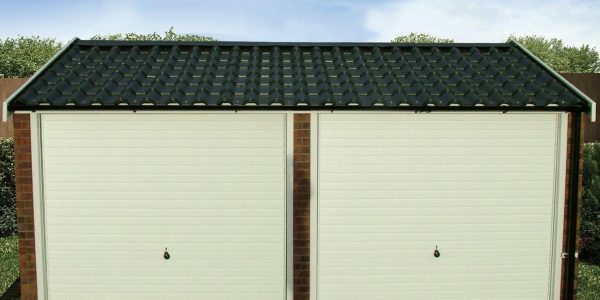 PVCu gutters and downpipe to both front and rear.